There are many different ways in which to promote a website or blog, with each method producing different results. In the world of content creation and marketing, the overall goal is to drive traffic to a page or website. Once the visitor arrives, the goals in terms of what the visitor should do may vary, but driving traffic is a fundamental and universal necessity. Many brands use paid search to drive traffic to their websites in a very quick and efficient way, but is this ideal? Below, we’ve outlined why real search engine optimization efforts are superior to paid search advertising in today’s traffic-obsessed world. When using paid search to generate traffic, many brands benefit in the short-term. There is an abundance of traffic being delivered to the site, making it easy to product products and services, sign up visitors and share content across social media platforms. Such strategies can be great for immediate bursts of traffic, but they can also be expensive. 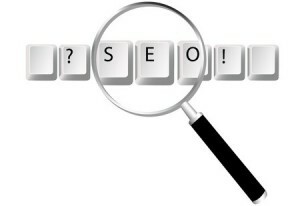 Real SEO tactics do not produce immediate benefit, but the benefits – once realized – are much longer-lasting. With proper content production and SEO tactics combined, brands can expect long-term boosts in traffic and will be pinging search engines much more prominently. Barring massive algorithm changes, the benefits of SEO will continue to resonate for months or even years once they are well-established. There are many reasons why improving your website matters. For starters, users will judge your website based on its content offerings. Real SEO strategies in part revolve around the distribution of quality content, as dissatisfied users will reject your website once discovering it if the content is not satisfactory (and this causes search rankings to drop). SEO also relates to mechanical performance, including the overall page loading speeds and code validation. By improving these elements for SEO, you also enhance users’ experiences on each page in multiple ways. While paid search can be used to link to your website and to social media, a single ad cannot bolster both at the same time. Social media, however, can bolster overall SEO efforts by helping to ensure that your content is shared more often. This creates opportunities for links to be created on other sites when bloggers and brands come across your content on Facebook, Twitter and other platforms, and then decide to share it. In addition, the use of social media helps drive additional traffic back to your website through the links created when people share your content on social media itself. Pinging search engines for SEO benefit while bolstering overall social media sharing can create a feedback loop in which both efforts are augmented. Finding ways in which to improve overall traffic is essential. While paid search is a great source of traffic, real SEO efforts can be much more substantial in nature. By creating long-term traffic that is both sustainable and free, improving overall website performance and impressions, and taking advantage of the effects that social media and SEO can provide for one another, it becomes obvious that SEO is a superior overall strategy to paid search.